That last video with Teller was incredibly interesting! Now I want to learn magic!! I want to go to Comic-Con! On the other hand, I am very excited for the 2 conventions right here in Chicago. ofo;hlfksd;fj dTHEY'RE MAKING A FILM OF THE HUNGER GAMES???? Though I'm HIGHLY dubious of Lenny Kravitz as Cinna. 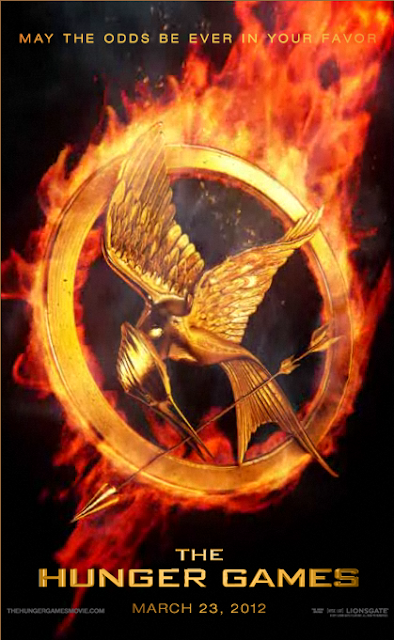 I's so excited for the Hunger Games movie!! First, Teller is a genius! I really enjoyed his talk. Second, it is now one of my life's goals to see Christopher Walken perform Shakespeare. Do you know the only thing that makes me sad about the Peter Jackson video blog? The fact that he appears to be gaining his weight back. Have you ever seen Penn & Teller's Magic and Mystery Tour? It's fascinating viewing anyway, but Teller talks on that too-- if I remember correctly, he describes how a traditional Indian street magician is able to "trick" him by purposely appearing to do a trick poorly. Hunger Games can not come fast enough. It's so neat watching magicians talk about tricks and magic and distraction and all of it. I love hearing it, but then a part of me feels a little spoiled for the magic of it. That's a bit silly, isn't it? Penn & Teller are so cool! You made a bad day good. Thank you so much. Oh, and the Schwarzenegger impression nearly made me spit my tea on my laptop from laughter. I'm really amused at how identical in exhaustion and beards Jackson and Serkis are. That Raise Your Glass video almost made me cry. I'm not a cosplayer myself but I have so much admiration for the amount of work that goes into those (and my daughter is still young enough that I get to dress HER up for Cons since I don't have the guts! ), and I am SO SO SO glad the internet has made it possible for people to go all out like that and find other people who get it and are right there with them. That Shakespeare video is amazing. I posted it to FB with a note for my old Shakespeare prof. Unbelievable. 3. I adore Teller, too. We met him after a performance at Georgia Tech in the early 90's. Love his voice. I thought the Raise Your Class video was from a US comic-con and was baffled by how similar one of the guys (the one during the "My glass is empty..." part) looked to a guy I met at a UK con...guess it was him if it was London! Great shares today! Thanks. I have never been to ComicCon but this year I am really jealous of everyone there for some reason! Incredible poster, for a second I think I could actually smell the burning fire! Love the link for the Shakespeare with celebrity impressions! If I were in the area, I'd def go to his show. As far as her CC costumes go...wow! That looks like so much fun. Teller used to be a high school Latin teacher-can you imagine? SWOON! The first time I ever heard Teller's voice was when he made a video for Diary of the Dead and it was put in the special features. It was very cool. Great video links! Enjoyed them all. Thanks! A moving movie poster? That's very Harry Potter, don't you think? The animated movie poster autoplays... Is there a way you can link to it instead of embedding? It was driving me nuts trying to figure out what was making that noise on my computer. The Hungers Games poster made me so happy!! for some reason that *raise your glass* video actually made me a little teary- i know- sounds weird.. but it was sorta- aww my people. I can't believe how many people have linked to that cosplay video - it makes a change for London Film and Comic Con to be getting some coverage, even if indirectly! I met Teller once at a pharmacy big box store. I was debating buying the more expensive "name brand" prenatals or the generics. All of a sudden from behind me a male voice said "Buy the generic. Legally they have to be just as good and you get a lot more for your money" I turned around to find Teller standing there showing me that in his basket were all generics. I thanked him and went and bought my generic prenatals. I still wish to this day I had asked him to sign the bottle!